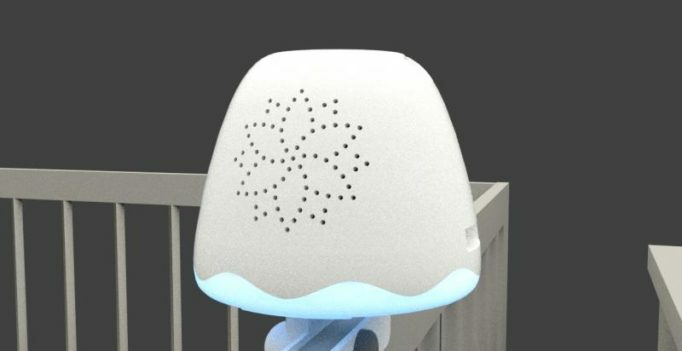 Tulip is a smart baby solution that helps monitor the temperature, humidity and air quality in your baby’s room. Technology start-up, Snugb recently unveiled its latest creation called Tulip at the TechCrunch Disrupt event in San Francisco. Tulip is a smart baby solution that helps monitor the temperature, humidity and air quality in your baby’s room. The sensor data, which is accessible through an app available on both, Android as well as iOS platforms, helps parents detect a problem in the baby’s room and stay alerted about the same. This compact-sized portable device charges on its wireless charging base. The device is further equipped with a camera that can be positioned in any direction. The camera records secure HD videos and two-way audio which are accessible directly on the app. Tulip even offers a wireless wearable pulse oximetry that can be used to monitor the baby’s heart rate and blood oxygen level. As per TechCrunch, Snugb will soon have a Kickstarter campaign for those interested in supporting Tulips’ manufacturing process. Snooping? Hidden cellphone in Mangaluru University campus ladies loo!